It's called the New Nintendo 3DS. It's faster with bigger screens and better battery life. It also has a new analog pad called the "C-stick." Wow! This sounds great. The New Nintendo 3DS comes in White and Black. There is also a New Nintendo 3DS XL that comes in Metallic Blue and Metallic Black. Note that in Japan, the 3DS XL is called the "3DS LL." The New 3DS also has colorful, revamped face buttons. 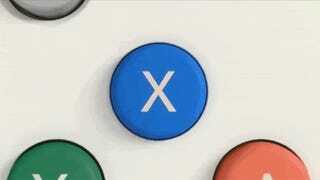 While the new analog stick is called, well, the C-stick, Nintendo exec Satoru Iwata says it is closer to a button. It was designed with the GameCube's C-stick in mind. According to Iwata, the new C-stick is easy to use. The new C-stick will be used in Dragon Quest X: Online, Final Fantasy Explorers, and Monster Hunter 4G to control the in-game camera function, and in the upcoming Super Smash Bros. for Nintendo 3DS to unleash Smash Attacks. The game card slot, however, has been moved to the front left side. Here, you can see the power button and where the touch pen is housed. This, of course, is the back of the New 3DS. The New Nintendo 3DS has a new function, which is a cool and welcome change—the screen can automatically adjust brightness depending on the lighting. Using this function isn't only easy, but it means better battery life. The New Nintendo 3DS also has an improved 3D function. With the original 3DS, if you viewed the 3D effect from the side and didn't stay in the "sweet spot," the 3DS became all blurred. 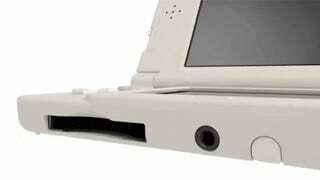 The New 3DS uses the portable's camera and gyro sensors to track the player's face. 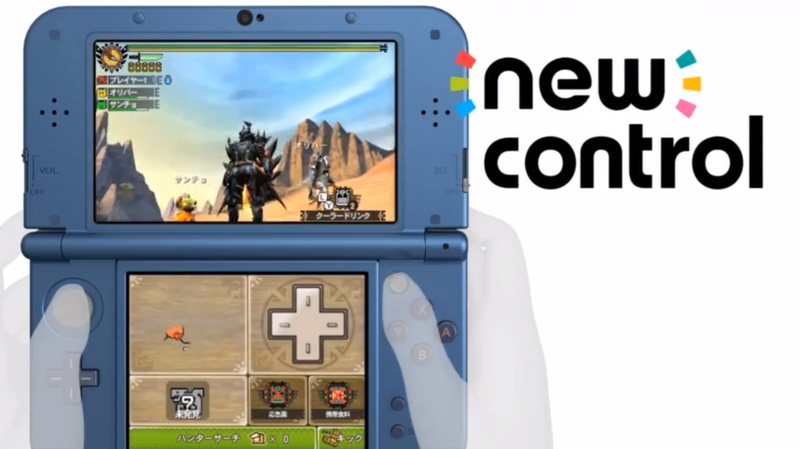 And the New 3DS can then make adjustments, ensuring the 3D effect isn't blurred. The New Nintendo 3DS is also equipped with a NFC reader/writer in its bottom screen, which means players can put Amiibo toys directly on the portable to have the New 3DS read them. 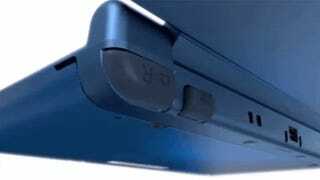 For those who need extra storage, the New 3DS will use a Micro SD card, which is located under the portable's covering. The New 3DS also has a more powerful CPU, which means players can download games and content quicker. This means that better-looking games can be developed for the New 3DS, but also that there will be New 3DS-exclusive titles, such as the already-announced Xenoblade Chronicles. The New Nintendo 3DS is priced at 16,000 yen ($154) and the New Nintendo 3DS XL is priced at 18,800 yen ($181). Both will be out October 11 in Japan. Nintendo didn't say anything about plans to bring the console to the U.S. other than that it will not happen in 2014.